In truth the dawn of the first person shooter (FPS) and its popularity is more a case of luck as a group of intelligent designers got together and created pseudo-3D worlds. In 1991 John Carmack was accompanied by three others as the development team at id Software (that story was already told in our podcast) and funded by a company named Apogee (they also developed Rise of the Triad). Carmack had created the Catacomb 3D engine, which utilized ray casting to create 3D looking environments. In ray casting, basically lines are drawn in a grid and if they intersect a texture is placed at the intersection and over a grand enough grid, you get depth perception and a software-based flat image that looks like it’s in 3D. Combine that with the fact that Muse Software, developers of the innovative stealth-action Castle Wolfenstein title from the 80s, had let the license lapse and you have the building blocks of this innovation in game design. Apogee gave Carmack and his team $100,000 to develop a shareware title and they decided to move forward with Wolfenstein 3D. The game was to span three episodes, each being sold individually, and released as a trilogy. Development was working so fast – about one level per day – that id was tasked with making a second trilogy, which resulted in the drastic tone change of the game after episode 3’s notable finale. The six episode version (original release), each episode containing nine levels, was the final full game and unlike previous release Commander Keen the shareware model was to give out the first episode and charge for either single episode or full game unlocks. Originally the game was to include stealth mechanics and closer resemble the original game, but at some point it just became all about killing guys in corridors, which honestly was probably the better move. It’s a beefy title when you break down how long it takes to conquer it and id intelligently designed the game to run on almost any machine that could support the floppy disks. As it premiered in 1992, there was not a single kid on the playground in grade school that didn’t have the game. It’s benefit of the shareware model meant that you could download (although this was a rare distribution), copy, or get the first episode almost anywhere. Some of my friends would crank out copies if you got them the three disks required to get the game and others would simply run out and buy the newest PC magazine that had the first episode included in what seemed to be a six month span. It was addicting and truthfully very few of us purchased the full game, but the model worked in id and Apogee’s favor and not only was Wolfenstein 3D the talk of the gaming world, but it was the beginning of a new world. 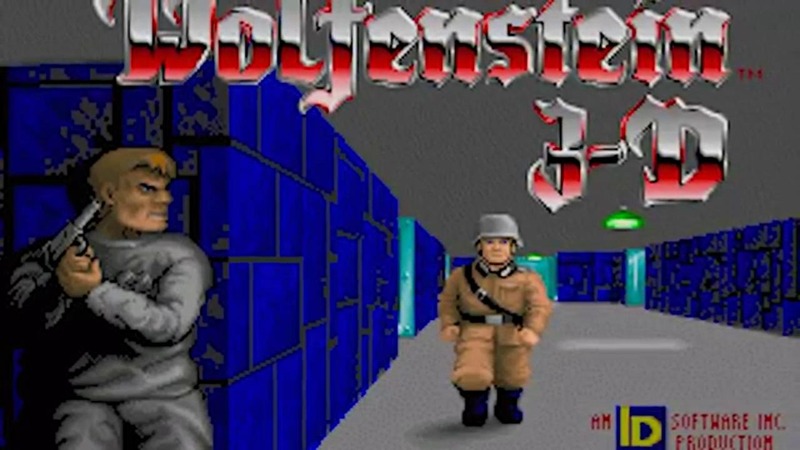 Not only were we enamored with the original game, level editors and mods were widespread within weeks and in a short time you were purchasing full versions of Wolfenstein 3D just to have access to all the cool mod features and textures. In the end the game was ported to just about every platform from the 90s (I think I have like 5 console versions) and it wasn’t quite as staggering as Doom so parents didn’t have much of an issue with the game’s occasional violence. 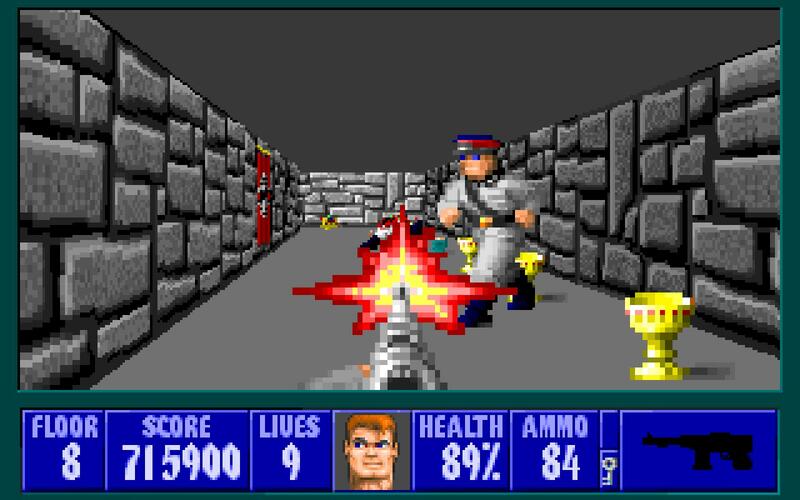 While the firm implantation of the FPS wouldn’t start until Doom and thus giving away to the Doom clone, those games owe everything to Wolfenstein 3D. Fortunately the same team brought us both, completely obliterating the stupid online debates as to which team was the true progenitor. 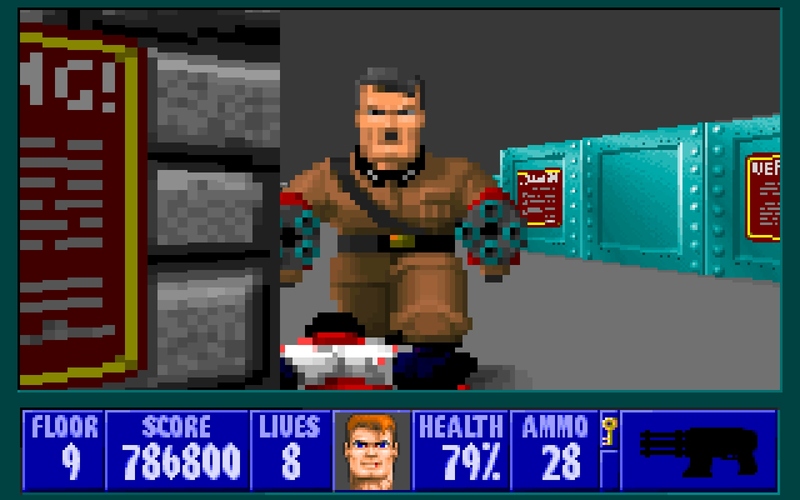 In the end Wolfenstein 3D did it first and Doom did it best.